Founded in the fall of 2012, Vincera Foundation applied for and was granted 501 (c) (3) status by the IRS in December, 2013, allowing the Foundation to forge ahead in accomplishing its mission. Its original location was in shared space with Core Performance Physicians in one of the old Navy houses at the entrance to The Navy yard. 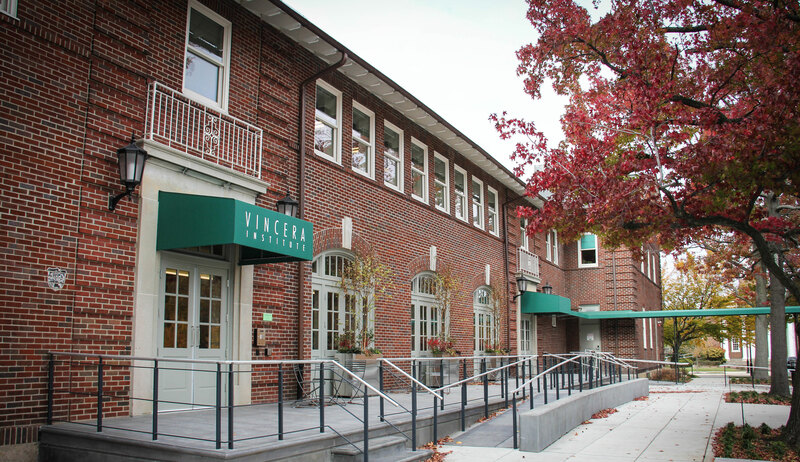 In June, 2013, Vincera Foundation moved with the formation of Vincera Institute into a new Navy Yard location in a beautifully renovated and much expanded space. With over 78 medical staff and employees, Vincera Institute’s multi-faceted services create a complete care approach to health. Vincera Foundation has been established as the philanthropic arm of Vincera Institute. Our goal is to provide cutting-edge research and education on best practices in sports and core medicine, as well as to reach out to our community and youth to advance their fitness, health, and positive development for life by leveraging our resources on their behalf. Our goal is to collaborate with other “best-practice organizations” whenever we can enhance our efforts to improve the fitness and human and athletic performance of those we serve. We are a foundation in the early stage of evolution. Stay tuned to hear of new and exciting developments as our history unfolds.